A low priced used night vision scope is hard to come by, so when we have deals like this they never last long. Now is your chance to buy the PV-400 night vision scope with integrated camera lens. The PVS-400 is a starlight night vision scope based on the PVS-4 night vision weapon sight. The PVS-4 was a generation 2 starlight night vision scope used by the US Armed Forces in theater, but has since been replaced by generation 3 night vision scopes. The PVS-4 offered precision low light optics with a 25mm imaging tube with a choice of either .308 or .223 reticles and a shuttered combat eyeguard. 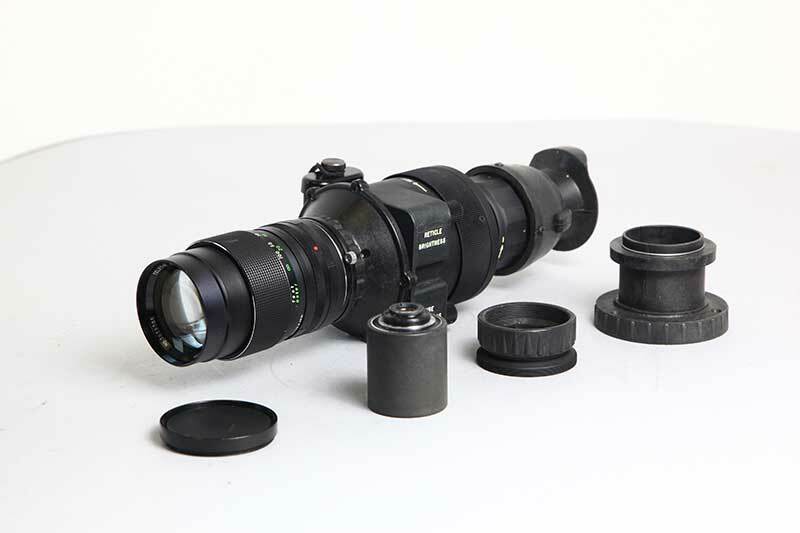 Together with its rugged construction, it was one of the main night vision scopes used world wide. 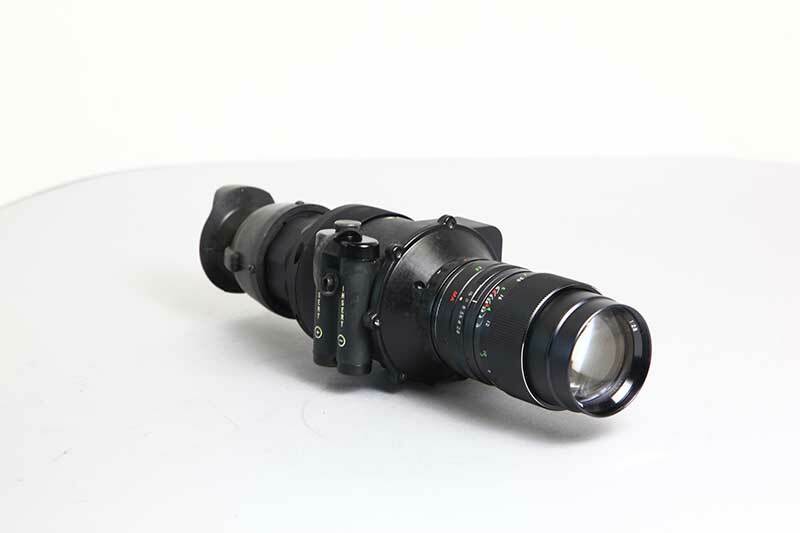 This customized PV-400 used night vision scope is being sold as is with no warranties, exchanges or refunds available. All sales final. This is the only PV-400 we have in stock, so once it’s gone it’s gone forever. 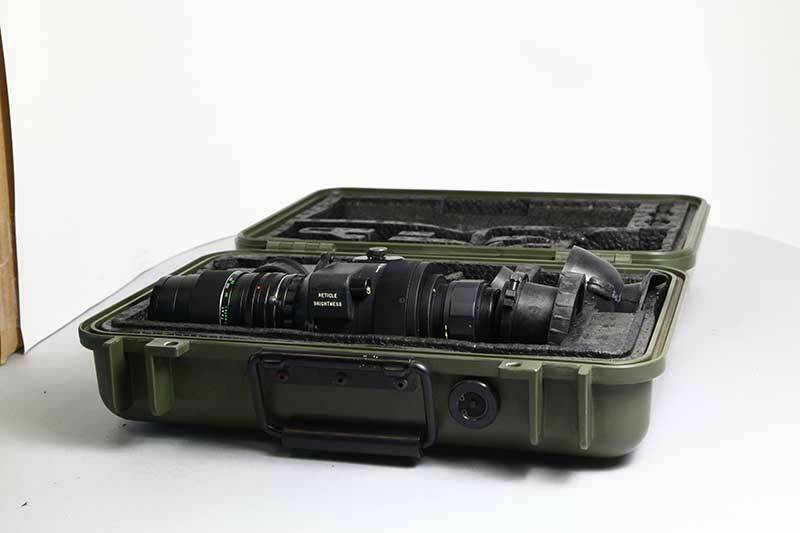 Kit contents: PV-400 used night vision scope, lens cap, extra lens, hard carrying case.